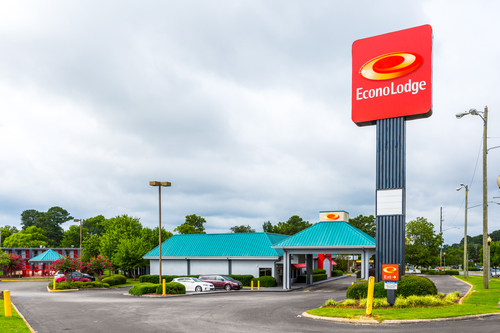 The Econo Lodge Oxmoor in Birmingham, Alabama is just off Interstate 65 and minutes from points of interest that include the Robert Trent Jones Golf Trail, Legion Field, the McWane Science Center, the Birmingham-Jefferson Convention Complex and Alabama Adventure Theme Park. Tour the campuses of the University of Alabama and Samford University, and bring the family to the Birmingham Botanical Gardens, Civil Rights District, Vulcan Park and Museum, Oak Mountain State Park and Five Points Music Hall. At the hotel, enjoy amenities that include a free deluxe continental breakfast, free high-speed Internet access, free local calls, free coffee and a fitness center. Access to copy and fax services, secretarial services, meeting rooms and valet cleaning services is also available. Guest rooms feature cable television, and select rooms also have irons, ironing boards and a hair dryer. Non-smoking and handicap accessible rooms are also available.